Just a note to say looking forward to this year's Camaro Nationals next week. This year promises to be even better and better with expectations of over 600 cars. We will have some very nice examples in the 'Legends Certification' class and also some newly found survivor cars for the Legends class. 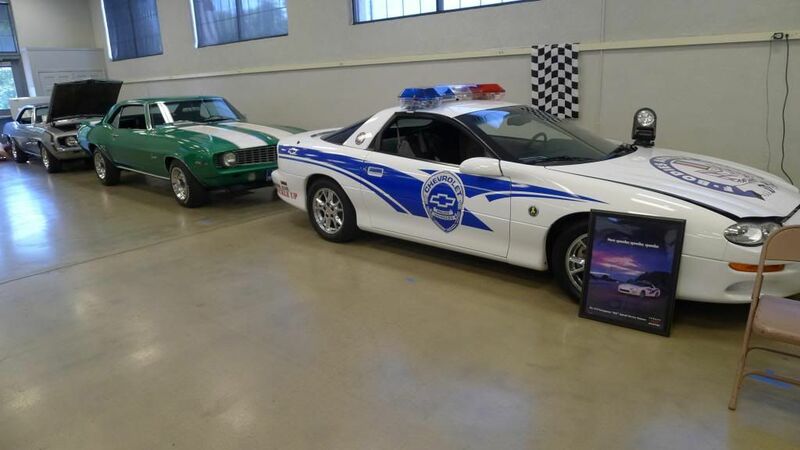 The large air conditioned building that we now work in is very nice and the city of Frederick has opened its arms to this ACA Camaro National event. Chick...if you see a Rally Green Z in the Bow Tie section, stop by and say Hi. In a week or so, I have a concrete floor going into my former stable area thank to your inspiration! When is your car going into the Camaro Nationals? Will see ya there Jerry!! I will be there Wednesday cause I want to get outta here LOL. Been looking forward to this. Stop by the blue trailer and Have some Buds and a Bubba burger!! Chick that goes for you also,I got plenty of food and beer!! I will be attending also for the third year now. 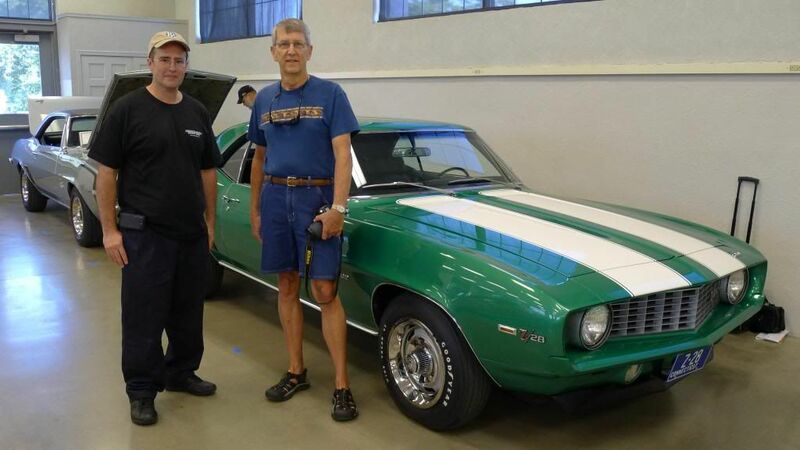 I am in the process of finishing my 68 Z28 and have learned a great deal and gained a lot of respect for all the judges. This show is the highlight of my year. Thanks to you and all associated with this event. Hi David, gotta be next year for our 68Z but good things take time. hahaha.... Look forward! I will be there Friday and Saturday with both my 68 and 69 like the previous two years. See some of you guys there, can't wait! trailer is loaded, ready to have a good time.see ya there Chick.I will be there Wed. I hope I can meet some of you fellas and put some faces with the names here in CRG... I'll be there in a red GMC truck with Alabama plates, staying at the Holiday Inn Express, and I'll probably bring a few extra Camaro parts with me to trade/peddle.. Finally made it with the Tin Soldier. I've been talking with Jason Terrell, the son of Ron Terrell who was the original owner of the Tin Soldier COPO. Jason is a super cool guy and was conveying how tore up his Dad was when the TS was found and sold before they could buy it back, more so when they found out what it is worth. He said Ron always regretted selling that car in the mid 80's and buying a new Camaro to campaign. 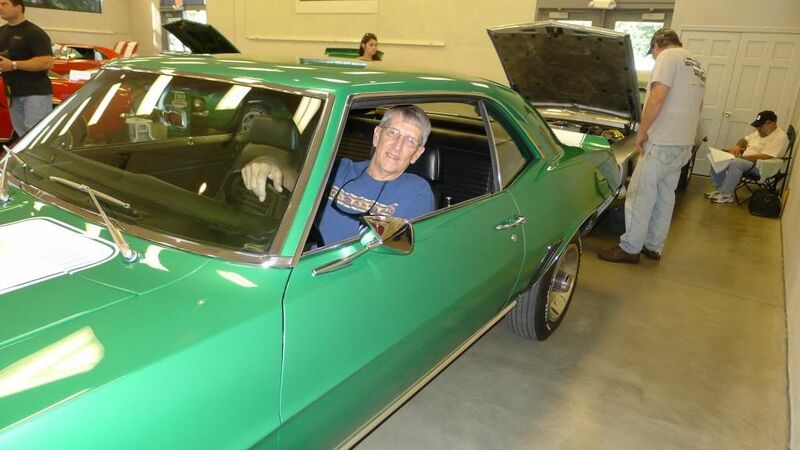 Ron still races today, in his 70's, and still runs the second "Tin Soldier II" an 85 Camaro. 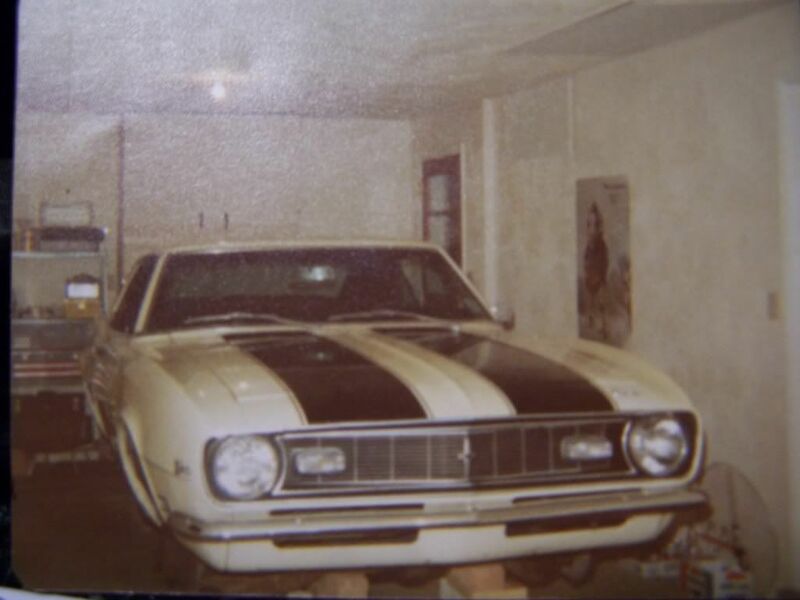 Jason also has a 3rd gen Camaro that he campaigns as "Tin Soldier III. 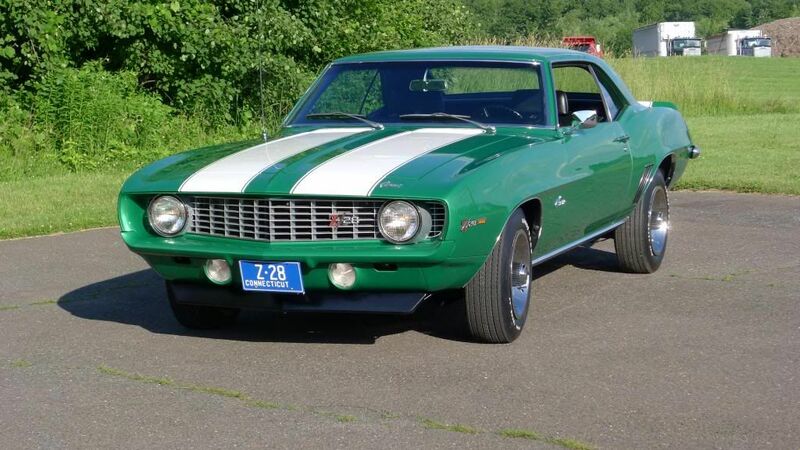 We have hatched a plan to get Ron some time with Tin Soldier at the Camaro Nationals (Ron's not on the internet, so I am safe discussing this!). Holley is one of Jason's sponsors and we are weaving a story about how Holley wants Jason's car at the Nationals for a shoot. This will get Ron out there without raising his suspicions. Jason's mom is in on the deal, and she has been quietly gathering some of the era memento's and pics from Tin Soldiers campaigns. One pic Jason told me about is Ron is about to make a run down the strip, has an open face helmet on, tank top, and his handing his mom a beer to hold through the window as he is taking the line! 69 COPO Camaro "Tin Soldier"
I had a great time at this year's Nationals and I had a car in the Bow Tie class. This was my first time in the Nationals, and from about the first 20 minutes of putting the car in I started getting great advice on a few things that I needed to fix. I was really surprised at how genuinely helpful all the other car owners were. Also, I got excellent advice from Dale, Al, Chick, and Scoop. Also, Jerry was super nice and stopped by near the end of the show. Larry's in the driver's seat and he really wanted to drive it like he did back in the day. I know....I have to fix the heat riser. A lot of the former owners want to go next year including the 1969 owner. Talking to Larry was the highlight of the show for me. The second best was all the sincere help I recieved.